On of my favourite things to do when I’m travelling overseas is to take a trip to the supermarket and hunt down some treats to consume during my day, or even to bring home with me. When we did our tranatlantic cruise a few years back, we actually made it our mission to visit a supermarket at each port and hunt down some confectionary to bring home. For the weeks after returning home we enjoyed every evening a sweet little something from our ports of call. So what about here in New Zealand? Here are my top 10 treats to hunt down at the when you are visiting here (in no particular order). 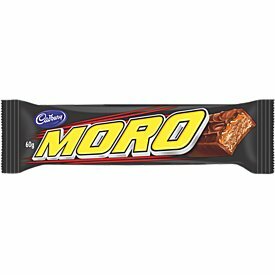 1) Moro bar – Launched in 1967, this Cadbury’s Dairy Milk chocolate bar has a nougat whip centre and is covered in chocolate. You can get these in most supermarkets near the checkout. Less than $2 and you can also get them in smaller multi-packs for less than $5. 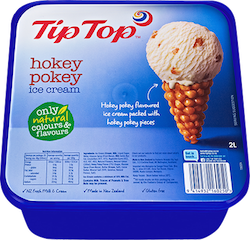 2) Hokey Pokey ice cream – Hokey pokey is a flavour consisting of plain vanilla ice cream with small, solid lumps of honeycomb toffee. My recommendation is to checkout the freezer section in your local supermarket and maybe either buy a big 2L Tip-Top tub of it – assuming you have a freezer and a friend to share it. Cost will likely be around $5-$6. 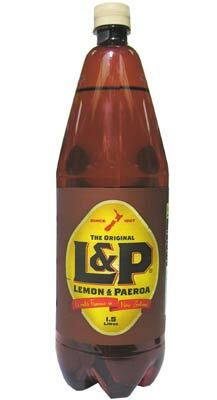 3) Lemon & Paeroa – Commonly known as L&P, this has been a Kiwi favourite soft drink since 1904. Created in the town of Paeroa, by mixing the local mineral water with lemon. Like most other soft drink brands, it comes in plastic bottles or aluminium cans. It’s actually now manufactured by Coca-Cola. You might have heard of them? You may even find it on some restaurant soft drink menus, your local takeaway shop and as a mixer in bars with Southern Comfort. Cost is in the same range as the Coke products so less than $3 from the supermarket depending on the size of the bottle. 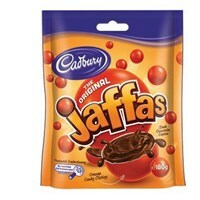 4) Jaffas – Another Cadbury’s product. Jaffas are marble sized balls of dairy milk chocolate with a thin orange crunchy shell. A very traditional cinema favourite back in the days when you would roll them down the aisle. You may also see a “Jaffa” flavoured item on a dessert menu, this references something that is chocolate-orange in flavour. Around $4 for a 180gm bag of them. As a point of interest, the word “Jaffa” may also refer to an Aucklander by those living further south meaning “Just another f$@king Aucklander”. 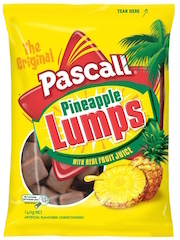 5) Pineapple Lumps – a soft, chewy pineapple flavoured centre, a bit like a soft toffee in texture, covered in chocolate. First created in the early 1950s in Oamaru by the Regina Confectionery Company. They are now manufactured by Pascall and come in bags that you share with friends. Cost is around $4 for a bag. 6) Pavlova – hotly contested between New Zealand and Australia as to who invented this popular dessert, named after popular ballet dancer at the time, Anna Pavlova. For purposes of this we will assume New Zealand. If you haven’t had pav before, you are missing out big time! 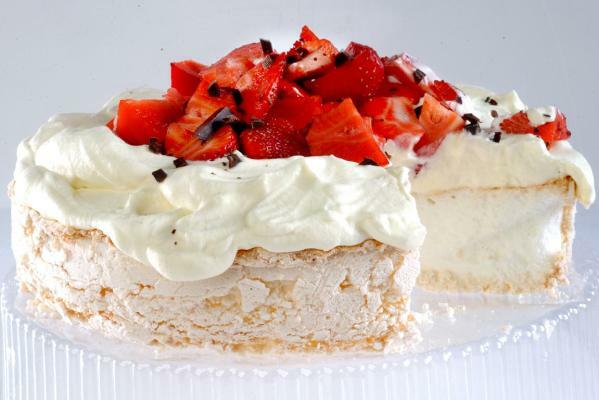 Its a soft meringue shell topped with whipped cream and fruit – often berries or kiwifruit. Its virtually a health food… Its tradionally served as a summer dessert so will often appear on Christmas menus. While you can buy the bases in the supermarket you need to then sort out whipped cream and fruit. The best way to try for most travellers is to hunt it down on a restaurant menu. 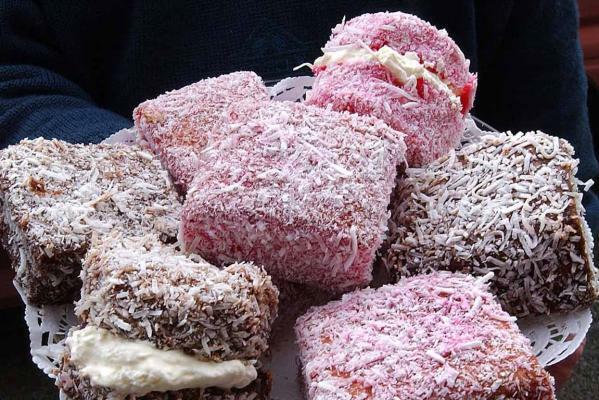 A Lamington is a small square of soft sponge cake, covered in a layer of chocolate or raspberry sauce then rolled in desiccated coconut, they usually have a thin smear of whipped cream in the middle. To hunt down one of these, most supermarkets sell them in the bakery section in packets of 6 or 8 for about $4 – no cream centre though. A traditional style tea room in a small town will also likely sell these too. 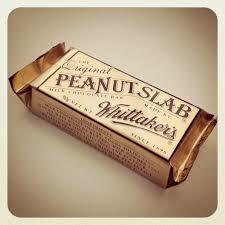 8) Whittaker’s Peanut Slab – since 1896 Whittakers have been making excellent chocolate products here in New Zealand. You really can’t go wrong with anything in their entire range, its all amazing! But one of more popular bars in the range is the Peanut Slab. Essentially a thick slab of chocolate, about the size of a pack of cards, crammed with peanuts. They also do them in Almond, Hazelnut and Peanut and Raisin if you want to try the whole range of slabs. You can buy a Peanut Slab individually in the supermarket for less than $2 by the checkout, or in packs of 3 in the confectionary aisle for around $5. 9) Pinky Bar – Yet another Cadbury chocoale bar, a Pinky Bar has a soft pink marshmallow centre and is topped with caramel and covered in dairy milk chocolate. Less than $2 by the checkout in the supermarket. 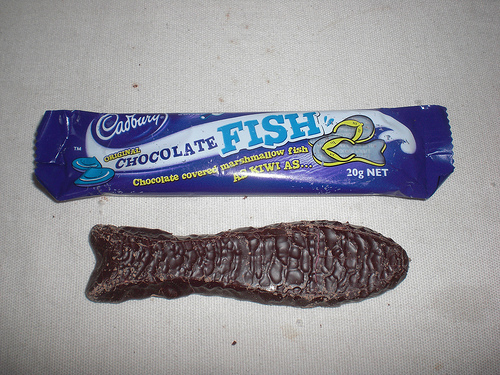 10) Chocolate fish – more than just a sweet treat, a chocolate fish is part of our Kiwi culture. To reward someone for a job well done, you give them a chocolate fish. They are made of pink or white marshmallow covered in a thin layer of milk chocolate. A number of companies make them so my photo is just an example of the Cadbury’s one. Cost is around $1 for a fish, or a bag of them is around $3. Most of them sound good! I am ready for the Peanut Slab. Heading to NZ in september and now I’ve got 10 more things to look forward to! !